Brown, A. ORCID: 0000-0003-2811-6112, 2014. OpenCity Berlin [sound work]. B_Tour Festival, Berlin, 2014. Sound work. 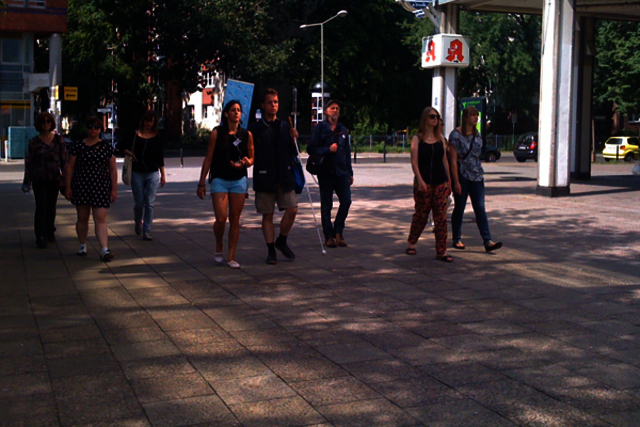 OpenCity – Berlin provides an opportunity to become temporarily and playfully out of step with the momentum of the city. In response to the changes resulting from the convulsions of global capitalism, as well as those we face simply as a consequence of our being social animals. OpenCity seeks to redefine our engagement with our everyday lives and the spaces we occupy. Participants will be provided with an ipod containing a soundscape, featuring material relating to the sites through which we walk, as well as evoking other times and places. In addition instructions will be given inviting participants to perform synchronized discreet public actions. OpenCity collective actions have been performed by groups in various cities around the world [B_Tour website].